< Previous Sunday Inspiration: Believe in you! Next > Sunday Inspiration: Be love. Hey! A JoHanna and and Johanna both follow you. You are very lucky. I’m also glad to know this is an Osprey, but I was SURE it wasn’t a turkey. That said, I love turkeys so feel free to share your turkey picture too. Wow you guys really love birds over there…turkey loving, chicken sitting and bird watching (in laws right?) pretty cool! Yeah, the chickens were an oddity, but a fun way to spend a day. The in laws are big bird watchers you are right. Hmm…I’ve never seen this bird trend before. You are very observant. I’m sooo glad that you know what kind of bird this is!!! I’ve been trying to figure it out for a month. And the last time I was unsure about a bird I saw, it ended up simply being a turkey so I didn’t feel like facing the ridicule and asking lol. Thanks JoHanna! 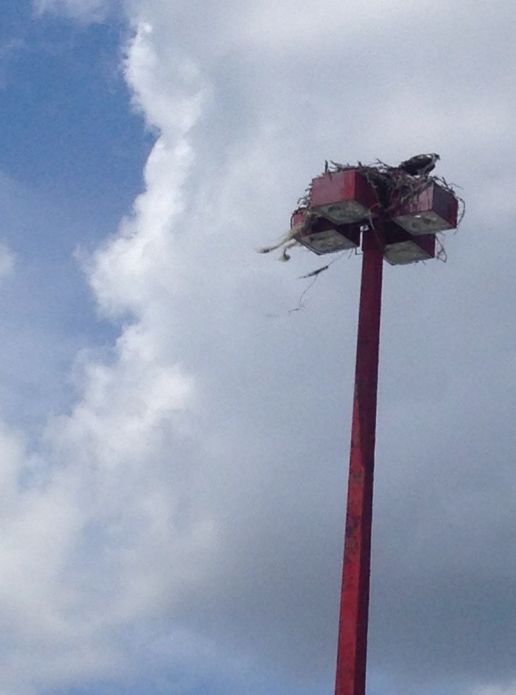 Oh I just love ospreys, and some of the places they choose to nest are just so ingenious, other times not so much. Great shot.